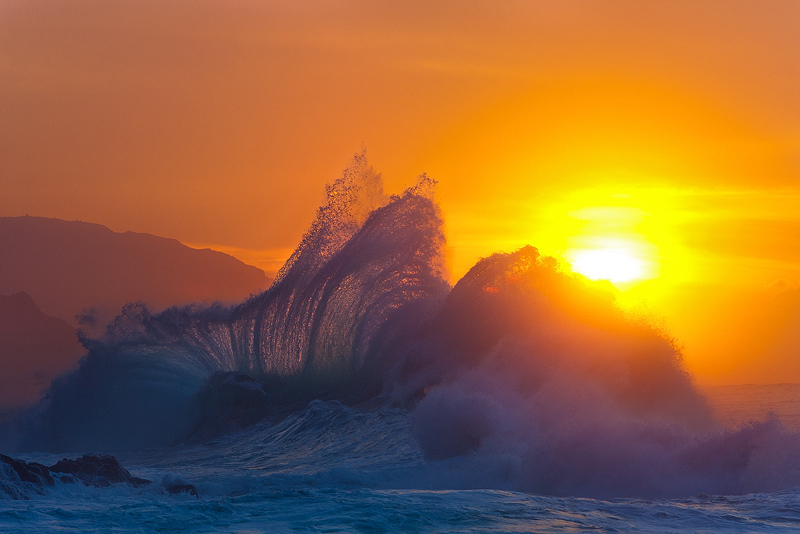 Waves collide along the Na Pali coast as the sun sets behind. To capture this scene I had to time both the right ocean conditions and the right time of year. Of course then get lucky with the right clouds. Whew!